Kids are always told to dream big – afterschool programs allow them to do just that. Uncover the work of your program and students, and tell us what really happens in STEM afterschool. CONGRATULATIONS TO THE 2015 STEM VIDEO COMPETITION WINNERS! 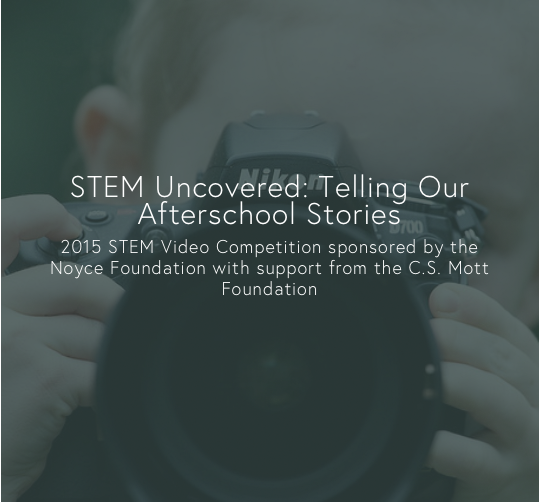 THE WINNING VIDEOS WERE FEATURED AT THE 2015 AFTERSCHOOL STEM SUMMIT. A video competition for kids learning about science, technology, engineering and mathematics outside of school. In three minutes, tell us how you are engaged in STEM learning and dream of a STEM future! TELL YOUR STEM STORY! HOW DOES YOUR AFTERSCHOOL OR SUMMER LEARNING PROGRAM INSPIRE YOU TO BUILD, CREATE, EXPLORE, DREAM? STEM learning opportunities are like charging stations that power up kids' learning. Afterschool programs, summer camps, libraries, museums and science centers all provide "charging stations" with hands-on activities, deep-learning experiences and opportunities to explore. Young people get the charge with the support of afterschool professionals to see themselves as scientists, engineers, technology gurus and mathematicians – both now and in the future. 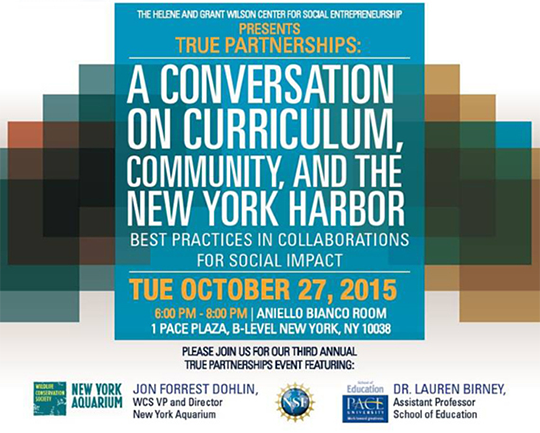 The Billion Oyster Project serves students, community and New York Harbor. Be part of the conversation at Pace University (more below). "How does a city of this magnitude bring young students to the water, and have them feel a sense of ownership and community?" asks Professor Lauren Birney from her lower Manhattan office at Pace University's School of Education. A century ago, the oyster was New York's pearl. Oystering was as integral to New York Harbor's identity as the Statue of Liberty. The waters of the city and New Jersey boasted more than 260,000 acres of oyster beds spread throughout the harbor, its bays and estuaries, the lower Hudson and East rivers. New Yorkers ate more oyster meat than beef. The original New York "foot-longs" were Gowanus oysters, gathered from Gowanus Bay and Creek in Brooklyn and exported to Europe as a delicacy. In present day New York, oysters are better associated with the Oyster Bar in the cellar of New York's Grand Central Terminal, where oysters from Apalachicola Bay in Florida and Chincoteague Bay in Maryland are now the delicacy. Generations of pollution drove out New York oystering, and the name "Gowanus" is identified less with the bay and more with the canal, a toxic, Federal Superfund site (hopefully on its way to a major cleanup). But the Billion Oyster Project aims to change all that by enlisting hundreds of thousands of city school children to restore a billion oysters to city waters. "In short, students are driving the restoration of New York Harbor," said Birney. There are 1.1 million kids in the New York City public school system and the New York Harbor is still one of the richest water habitats in the world. But it's become very degraded and disconnected from those 1.1 million kids. With a $5M grant from the National Science Foundation Birney is co-leading a powerhouse group of collaborators to build upon the Billion Oyster Project and target "middle-school students in low-income neighborhoods with high populations of English language learners and students from groups underrepresented in STEM fields [Science, Technology, Engineering and Math] and education pathways." The harbor is like a living laboratory for education in STEM. We want to give students the opportunity to learn outside the school building. Our consortium of partners is creating opportunities for citizen science, real-time data collection, operation of monitoring technologies, and more. After-school mentoring provides extra enrichment for those students especially interested in STEM. Maybe a student gets excited about oysters or the condition of the harbor and decides to be a biologist, or pursue an interest in maritime law. An interest in our monitoring technologies could open a door to the study of engineering. These experiences are such a rarity for our students they may otherwise not have the opportunity to discover their passion. Theoretically, if we have a standing population of one billion oysters, the harbor would be completely filtered every three days. The Billion Oyster Project not only empowers students to build a new future for their community, it enables them to connect their present to their past, while reflecting upon, and redeeming, the unwitting misdeeds of prior generations. While we are all nonuniform and while we differ dramatically from each other, the simple truth is that all the people on the planet have the marvelous capacity to place themselves in time and space. We can recall the past and anticipate the future. And yet, how often we squander this truly awesome capacity to look in both directions, even neglecting our own roots. To be truly human, one must serve. Ultimately, the Billion Oyster Project is about service: to the environment, to school children, to a city that lost its environmental way, to those of a long-gone generation who knew not what they were losing, even as it slipped through their fingers. 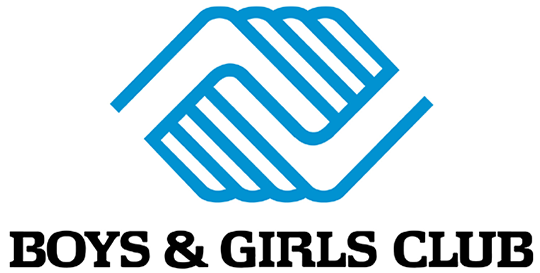 The Boys and Girls Club of Wayne, NJ Seeks to fill several part time positions in our daycare for children 8 weeks – 5 years old as well as our aftercare program for children K-8. Looking for energetic, responsible, creative and nurturing individuals with a great love for children. A team from the University of Chicago used a demographically diverse group of first-graders and their parents — nearly 600 in all — across a wide swath of Chicago. One group got to use an iPad app called Bedtime Math, built by a nonprofit with the same name. (The app is also available for Android, but we're told most used the iPad version) The no-frills app uses stories and sound effects to present kids with math problems that they can solve with their parents. The control group was given a reading app with similar stories but no math problems to solve. The results at the end of the school year? I reached out to University of Chicago psychology professor Sian L. Beilock, one of the paper's lead authors, to find out more. I read to my child all the time. But I don't read bedtime math stories. After reading your study, maybe I should? 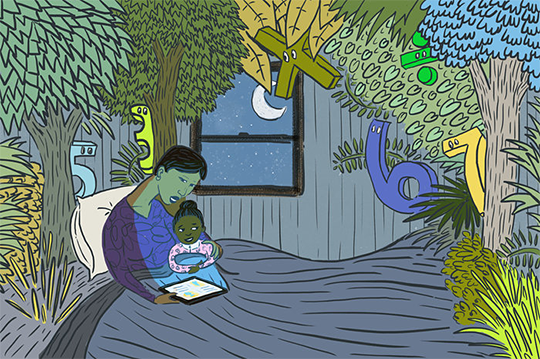 Our study suggests that doing Bedtime Math with your kids can help advance their math achievement over the school year, and this might be especially important for parents who are a little bit nervous about their own math ability. That's me! How big an increase and what kind of improvement did you see when kids used this iPad app? We compared kids who used the Bedtime Math app that involved reading stories and doing math problems with their parents to kids who did a very similar app that didn't have the math content. We showed that when kids frequently used the app with their parents, those who used the math app were three months ahead in terms of math achievement relative to kids who just did the reading app. Your team found that the app worked even better for children whose parents tend to be a bit anxious or uncomfortable with math? Many adults in the U.S. and around the world profess to be uncomfortable or anxious about math. Oftentimes dealing with your kid around math can be a nerve-wracking experience — whether it's homework or just talking about it. We found that doing this Bedtime Math app with kids was especially beneficial for those kids whose parents tended to be the most nervous about math. In essence, these kids grew significantly throughout the course of the year and looked like kids whose parents weren't anxious about math by school year's end. And you saw improvement even in children who used the app with parents as little as once a week? Yes, it was somewhat surprising to us that such little use would have such important benefits. One of the ideas is that we think that when parents get comfortable with talking with their kids about math — it doesn't have to be complex math problems, it could be anything from shapes to even counting — they likely engage in math talk even when they're not using the app. And we know that parents who talk more with their kids about math — whether you're counting out the number of cookies or counting the minutes to bedtime — those kids tend to achieve at higher rates in math. Bottom line for you: A little bit of math can go a long way, at least in terms of this one study's findings? That's exactly what we're showing. There are a lot of apps out there. Why'd you choose this app in particular? What was special about it? There is certainly a billion dollar education app industry out there. What we've realized in our initial work is that a lot of it isn't based on research. It's unclear what the benefits are. In fact, there has been some research that shows that apps with lots of bells and whistles can actually be detrimental to kids' learning because it distracts them. We base our investigations on learning science. We've shown that, when parents interact with their kids and talk with them about math, that really impacts what kids learn. We were interested in this because it really is a no-frills app, an easy way for parents to interact with their kids, to talk with their kids about math. It's not an app that they use by themselves. And we thought that that potentially had promise in terms of what math knowledge kids gained. I admit I'm kind of a math-anxious parent. But when doing stuff like woodworking, I try to incorporate a little geometry and basic measurement whenever I can. "Hey, let's measure this again! Twenty-four inches — how many feet is that?" It's a fun way to sneak a little bit of math in. And to realize that math is part of everything we do, and math is not something scary or that one should be anxious about. And it's really healthy to try to incorporate that into daily life. And often, as you said, parents think about reading bedtime stories, but there is a place for thinking also about bedtime math. Culturally and socially, it seems we don't think about math as integral a part of parenting as reading. And few adults would say, "I'm not so good at reading." But many people say, "I'm not so good at math." And somehow that's socially acceptable. Yes, in my book, Choke, where I talk about stress and performance, I mention how you don't hear people walking around bragging that they're not good at reading. But very intelligent people brag about not being good at math. And it turns out that that anxiety and social acceptability has implications for our nation's success in math and science fields. And it's really important that we as parents and teachers and adults try to convey to our kids that math is something that's (a) enjoyable and (b) learned. You're not born a math person or not; it's something that's acquired. And every time we talk about it and we integrate it into our daily lives, children may see the importance of it and that math is not something to be fearful of. Where do you think some of that math anxiety comes from? Math anxiety comes likely from lots of different places. Previous work that my group has done shows that teachers who tend to be anxious about math affect their kids' perceptions of math and what they learn across the school year. We also know that when parents are anxious about math they can transfer that to their kids, especially when they're helping a lot with math homework. We tend to point to the schools to be the source for math knowledge. But kids spend lots of time outside of school and get lots of information from parents and from other adults. So being cognizant of how we talk about math and how we integrate it into our daily lives is important — both inside and outside the classroom. Did you see any improvements in the parents' math ability by any chance [laughs]? Ha, well, that's a really interesting question. We are just looking into those questions now. You can imagine that for parents who have a fear of math or less than optimal math training, it might take more than one school year to move the needle for them. But we are seeing improvements with their kids. And that's a first step. And we will be looking (in future studies) at how parents think about math, how they do in math, and most specifically their attitudes when interacting with their kids. So there is hope for me? There is hope for all of us! And, as you said, integrating these sorts of counting and math activities into daily routines is a great way to socialize both kids and their parents to the benefits of math. CS First provides free, easy-to-use computer science (CS) enrichment materials that target and engage a diverse student population.